Based on the theory of natural selection, if the predator evolves enhanced offensive capabilities, the prey’s survival necessitates the evolution of a commensurately improved defense. Examples of evolved traits exist in plant-insect relationships. Plants may employ chemical defenses to ward off culinary advances by insect herbivores. Insects, in turn, may evolve metabolic capabilities that neutralize the noxious plant chemical. The plant reciprocates by evolving a more effective chemical deterrent. By contrast, some of the classic examples of coevolution result from mutually beneficial specialized relationships between plants and pollinator insects (as bees) and between a number of species of flowering plants with specific pollinators, such as bats and insects. Moth-pollinated plants and moths have coevolved such that the plant tubes are the exact length of the moths’ “tongue.” Upon examining the size and shape of a Madagascar orchid, Darwin predicted the existence of a pollinating moth with an 11-inch-long (28 centimeter) proboscis. Some forty years later, decades after Darwin’s death, such a moth was discovered. Coevolution refers to reciprocal evolutionary changes that occur between pairs of species as they interact with and are dependent upon one another. Charles Darwin commented briefly on this phenomenon in Origin of Species (1859) and far more extensively in his The Descent of Man(1871). In the latter work, Darwin quoted the German biologist Hermann Müller, a pioneer in the study of coevolution, and his studies on bees and the evolution of flowers. These were described in Müller’s work, The Fertilization of Flowers, appearing first in German in 1873 and in an English translation a decade later. SEE ALSO: Plant Defenses against Herbivores (c. 400 Million BCE), Angiosperms (c. 125 Million BCE), Darwin’s Theory of Natural Selection (1859), Ecological Interactions (1859), Sexual Selection (1871). 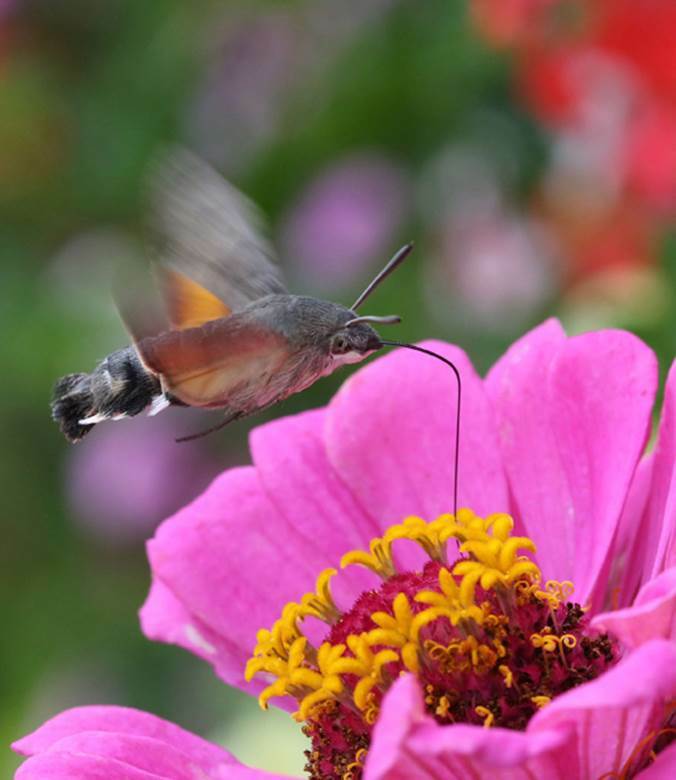 Moth-pollinated plants and moths (such as this hummingbird hawk moth) have coevolved such that the length of the plant tubes exactly matches the moth’s pollinating proboscis.